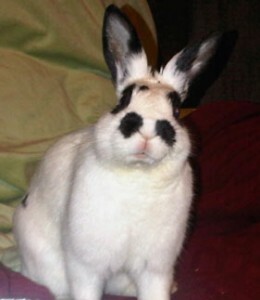 Bigote is a 1 year old male neutered rabbit that presented for lethargy, drooling and inappetance. 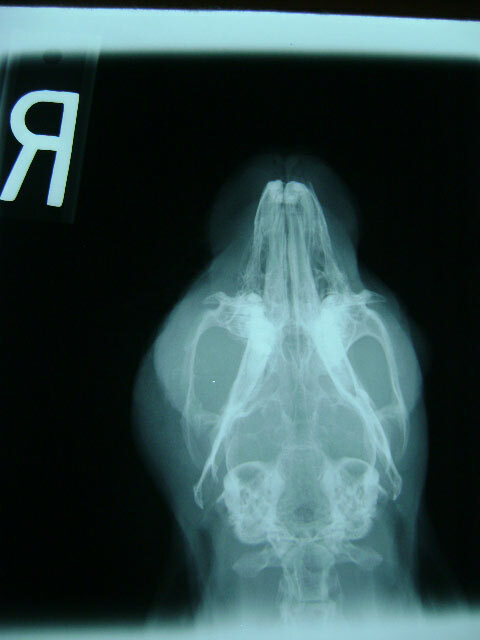 He was in slightly thin body condition and had a swelling on his right mandible (jaw).The skin on the right side of his face was also irritated due to the moisture from constant drooling. He was on a diet of mostly pellets, carrots and apples. 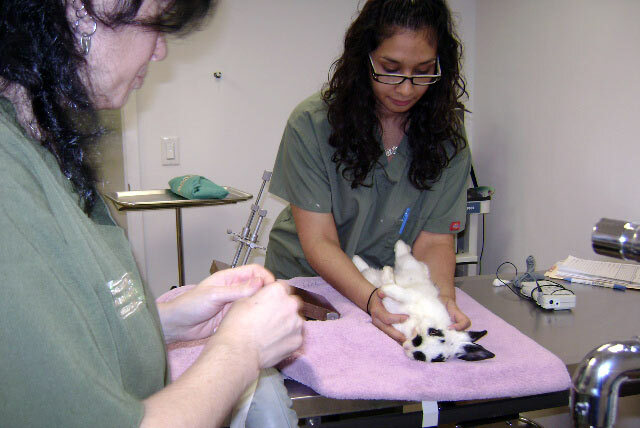 Bigote is getting sedated for his procedure. He had received injections of the tranquilizers domitor and ketamine. 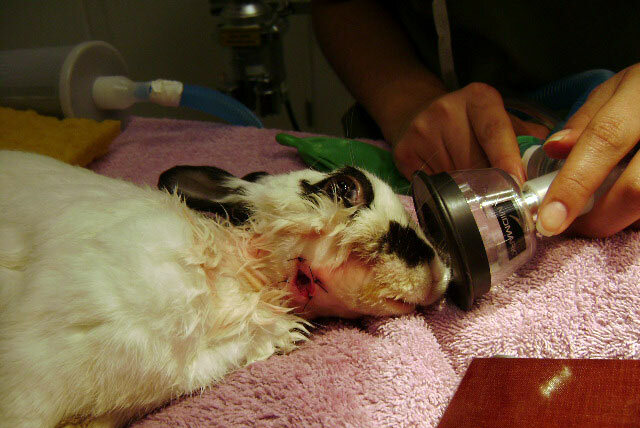 He is now being placed on oxygen.X-rays were taken and showed osteomyelitis of the cheek teeth on the right upper arcade. 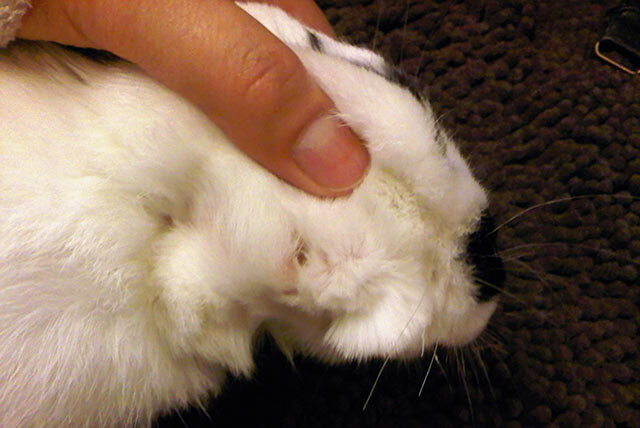 There was also a soft tissue density swelling associated with the right upper arcade. It was suspected that Bigote had a dental abscess and infection in the roots (reserve crown) of his upper right cheek teeth. 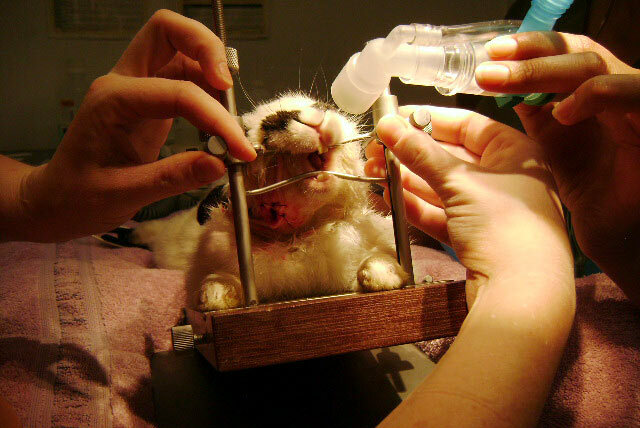 It was recommended that Bigote be sedated for a thorough oral exam, dental work and abscess surgery. 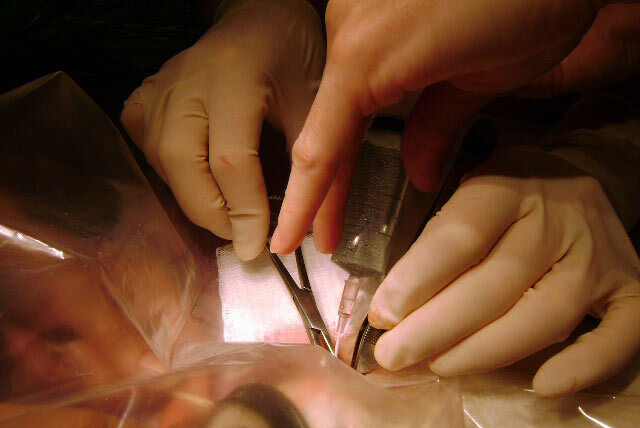 Bigote being prepped for surgery: The area of the surgery was clipped and aseptically prepared. The surgical area is draped with a clear sterile drape to aid in visualization and to maintain a sterile surgical field. 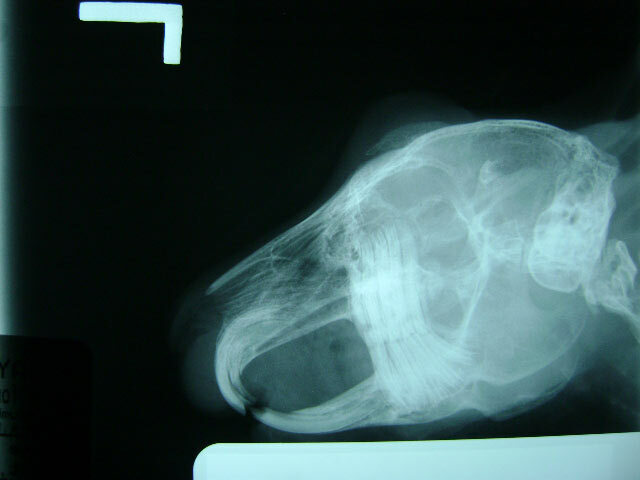 An incision was made over the soft tissue swelling on Bigote’s mandible (jaw). 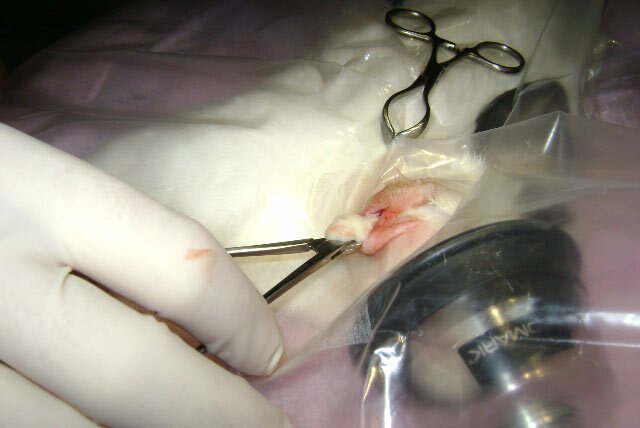 Thick caseous pus and tissue is removed from the abscess. 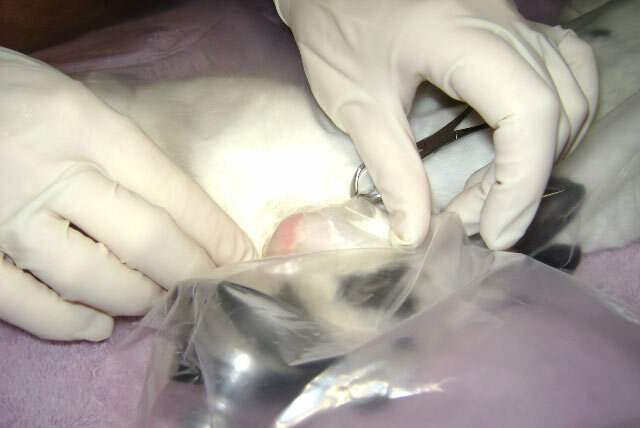 Bigote Flush: The abscess is flushed thoroughly with saline to remove all the pus and residual debri. 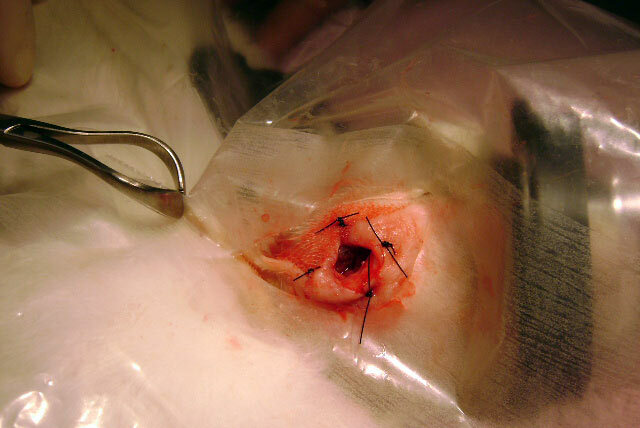 A few sutures are placed in the periphery of the surgery site in a technique called marsuplization. The area is left open to drain. 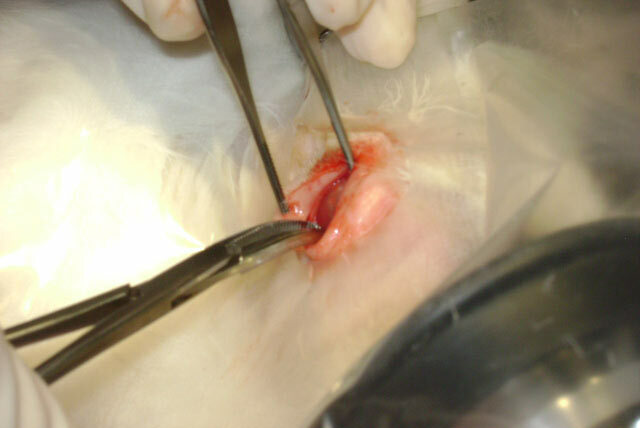 A thorough dental exam is performed using an endoscope. 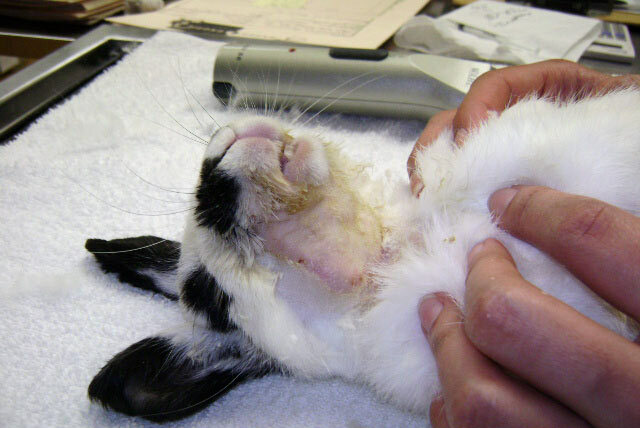 Abnormal teeth were filed and sharp points (spurs) were removed. Bigote recovered very well after surgery. He was given pain medications and oxygen support until fully awake. 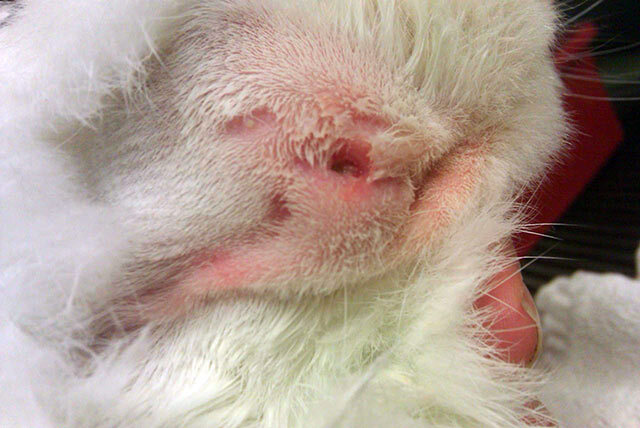 3 weeks post-surgery: the abscess site is now smaller and had very little pus. 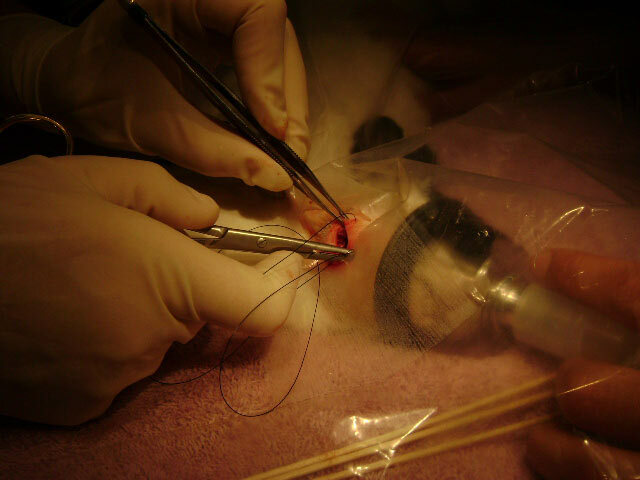 3 weeks post-surgery: Bigote’s owners have been flushing the small opening with a disinfectant (chlorhexidine) twice daily. 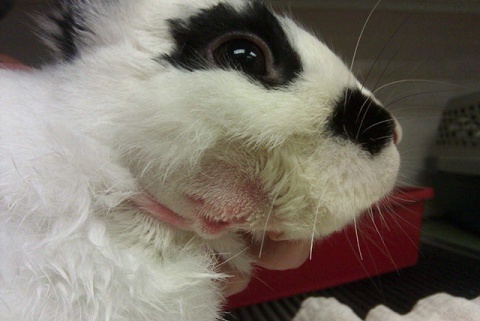 5 weeks post- surgery: Bigote’s abscess is almost completely gone. The swelling has completely disappeared and only a small scab is left. 8 weeks post-surgery:: Bigote- perfect again! Bigote is now eating lots of hay to prevent future dental problems.